Thermwood at AWFS 2017 - From the floor! 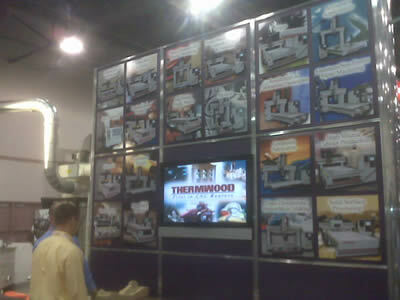 In the video below, Thermwood's own Brent East gives a tour of our booth #9200 during Day 2 of the AWFS Fair in Las Vegas, NV. 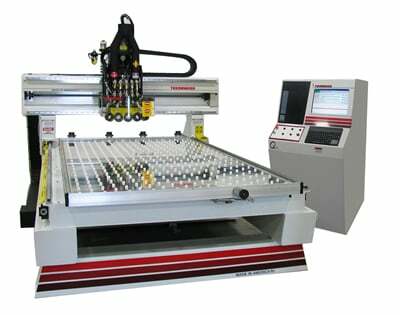 Featuring the award-winning Cut Ready Cut Center and the versatile Model 45 CNC router. 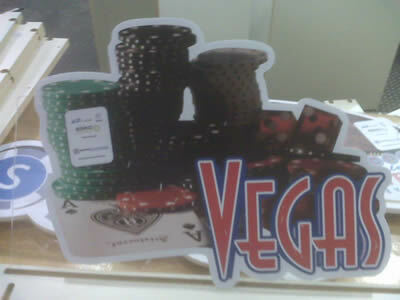 Take a look at what we are up to at the show! This new option helps save time by automating the process of placing labels and off-loading finished material. The automated system quickly places the labels and then machines the parts. It next unloads the finished material to a sorting table. This automatic and economical addition can greatly speed up nested based production time, and is available both on new machines and as a retrofit. 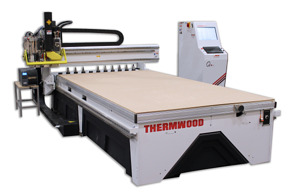 We will also be demonstrating solid wood machining utilizing the Nemi Pod Hi-Flow System on our Thermwood Model 45. 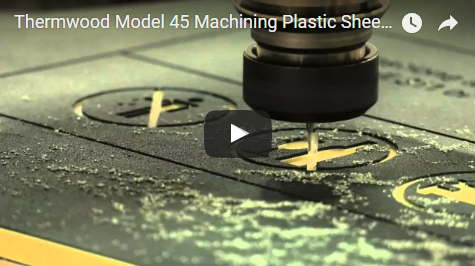 The heavy-duty Model 45 is designed for a variety of functions including the machining of rotary operations when equipped with our optional C-Axis. 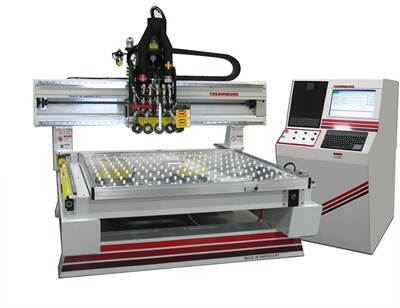 This expands the capability of this already useful machine to include volutes, carvings, chair parts, stair components and much more. 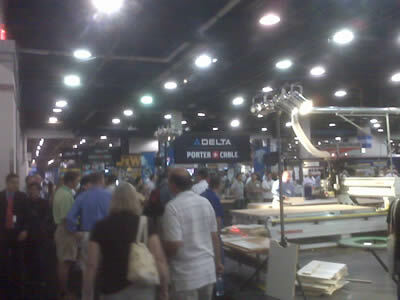 We are demonstrating many of the features of smart-router technology and nested based manufacturing at the 2013 AWFS show (going on now until July 27th (Booth #8400). Plan to stop by and check it out, or click the button below to request a personal consultation on how we can help improve your production process. 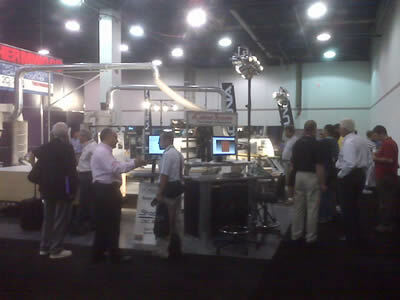 A couple of photos of our booth on the first day of the AWFS show in Las Vegas. 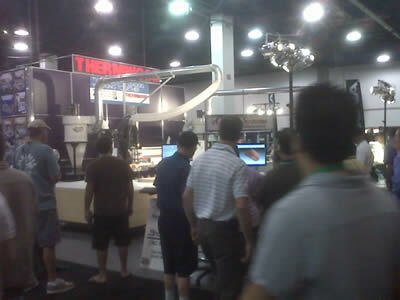 We are Booth #5200 - Great turn out so far!